Before scrolling down, you can check the Introduction & previous Episodes here – Vol.1 (Introduction), Vol.2, Vol.3, Vol.4, Vol.5, Vol.6, Vol 7 and Vol.8. 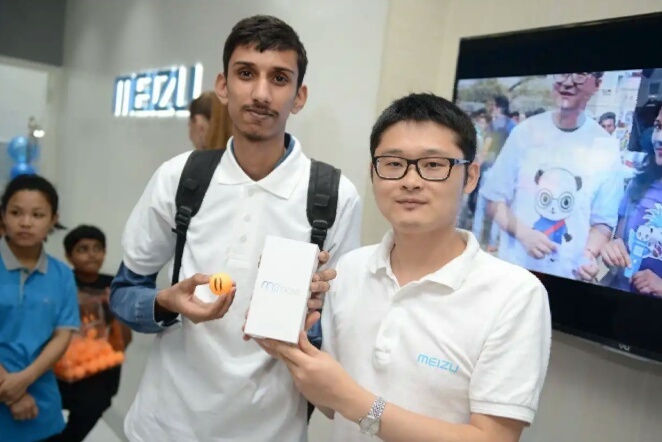 For this interview we have one of the most recognized person in Flyme Forums Rohit42, He is a big Meizu Fan and is responsible for many great threads in Flyme Forums, he has done 7 volume of big fan interview and he is an active beta tester. Q. How you found Flyme Forum. which Meizu phone you are currently using? A. After I won M3N in Meizu Experience Service Center Inauguration in Saket, Delhi i was searching for new update for it, then i found Flyme Forum. I found lot of good content there and started to visit it more often. Currently, i am using M3N only. 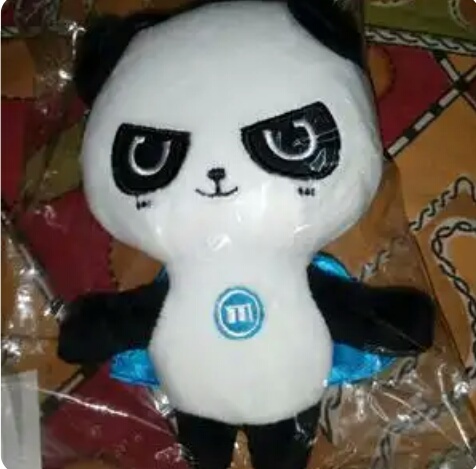 I am waiting for back cover and tempered glass for my Meizu 15, i ordered them on AliExpress. Once i get them, i will use 15 as my daily driver and M3N as a secondary phone. Q.What are your hobbies, where you want to see your self in next 5 years? A. My hobbies keep changing with time depending on how much free time i get in a day. Right now, my only hobby is to learn everything related to Python. I want to work in Meizu, China. So, after gaining 2-3 years work experience, i will go to China and try to join Meizu. Q.You did lots of Fan Interviews, which one is your favorite? A. Its hard to choose one but first interview is very close to my heart. Not only it was first interview of this series but also the person was special. Q. You are one of the most successful person in Flyme Forums. how you get this success? Any advice you want to give to other users. A. Thanks for the compliment but i don't think so. Its just because lot of users who used to be regular on Forum are now too much busy in their life. So if you run in a race with just 2 more people, you will surely get in top 3 spots. Most important thing is 'encouragement'. In my case, Rudraksh was my source of encouragement. I wanted to become like him and learned a lot from him. Another important thing is - 'quality of threads'. 1 good thread is better than 10 wallpaper threads. Just think about the topics that will really help the users and are original. Admins and mods are always looking for good content and content creators. You will get good news for sure, just concentrate on the content not the result. Q. You own bundle of Meizu phones from Meizu M2 to Meizu 15, which one is your favorite? why you prefer Meizu then other brands and Flyme then other OS. A. I think Meizu M6 Note is best value for money. You will not regret buying it. If i had to choose to 2 phones from M6N 15 and 16th, i will choose M6N and 16th. I don't like other brand phones because they blindly follow what Apple does. Notch and removing 3.5mm jack are best example. I like Meizu since i saw M2 Note on Snapdeal. Its better to be head of cat than tail of a lion. Meizu has its own design language and i am big fan of it. I prefer Flyme over other OS because of its features and UI. mBack was the main reason i bought M2 (my first Meizu phone). I have seen it growing from Flyme 4 to 7 and i wish for its success. I am trying my best to make it bug free. Q. Pick one, more innovative features and less Android base updates or more Android base updates and less new innovation features. A. Well, i have said it before too, i don't care about android base. I am using M3N with broken mBack (press is not working) and Flyme 5A (off course Android 5.1). Flyme already have the most of the features of newer Android Version without the Android base update. Q. Meizu is one of the most successful mobile phone manufacturer in China, but it can't be said for global market specially India, what do you think holding Meizu to become a Success in Global Market? A. Just one reason - Strategy. There may be some other internal reasons which we are not aware of but as a fan i just want to see Meizu phones available in India at good price and as soon as possible. When i see XYZ phone launching in India, i say 'lol, ABC Meizu phone is much better than it'. But thing is, that Meizu is not available in India and hence people are buying that XYZ phone. Apart from good specs, there’re 2 keys to success in India - Price and Time. Meizu just need to take care of these 2 keys. Q. There are many users in Forums which only get active when there is a contest and many inactive people wins also. what are your thoughts about this? do you think they deserve it? A. Well, contests in Forum are not just the opportunity for users to win something but also so that more users join the forum/ more users become active. So, it doesn't matter if a regular user win or an inactive user win. But off course, it feels bad for active users when they saw an inactive user win. It happened a lot with me earlier. Later i won some random and some skill based contests but lately i have stopped participating in random winners / voting type contests. Spamming was one of the disgusting thing in contests but after many accounts has been banned, now things are looking fine. Q. Meizu India's last Facebook post is dated 03-August-2018 and Meizu Pro 7 and M6 now also not available in online sites. what are your thoughts about Meizu India current status? A. How long anyone can promote same thing again and again. These phones must be out of stock. May be they are also waiting for new phone to be launched in India. What else they can do, after all its Meizu who has the authorities. Q. Meizu Recently opened AliExpress Meizu official store, what are your thoughts about this? What more suggestion you want to give for more future improvement. A. Its really good for Global users actually. This move looks promising and Meizu is now ready to rock in Global Market. My only suggestion for now is to add shipping to India option also. Right now, we can't buy from the store. Come on, India is so close to China geographically, you can ship to India easily. But i think Indian customs is another reason. The charges are too high. Q.Who is your favorite Moderator/Admin/user in Flyme Forum? Favorite Admin - There is only one right now, KKPanda. Q. What is your Favorite Flyme OS version and why? Flyme 6 and 7 are not good for 2GB ram phones. Unfortunately, my M3N has 2GB ram so i am using Flyme 5A and the experience is amazing. I can play PUBG in Flyme 5 without lag with 2GB ram whereas it was crashing in Flyme 6. If you have 3GB+ Ram phone, Flyme 6 or 7 is okay. And i will pick Flyme 7 for my phone due to the new features. Q.If you have to chose Any phone from company other then Meizu, which phone will you pick? and what advantage you see on that phone which Meizu don't have. Just to taste iOS. I never used iOS and want to try it once. Well Android and iOS are opposite to each other so i will face more disadvantages than advantages in iPhone. So, just for a change i will buy it. Thats it, Thanks for reading! !